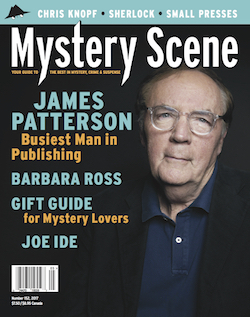 The latest issue of Mystery Scene Magazine—No. 152—is at a newsstand near you. As usual, it is packed. It features interviews with James Patterson, Joe Ide and Barbara Ross, an article about Mary Robert Rinehart and many others. Down & Out: The Magazine, edited by Rick Ollerman, is a brand new crime fiction magazine with its eye directly on the hardboiled. This introductory issue includes terrific stories by Reed Farrel Coleman, Eric Beetner, and Jen Conley. The Obama Inheritance: Fifteen Stories of Conspiracy Noir,edited by Gary Phillips, is an entertaining, at times humorous, anthology with tales based on the often bizarre conspiracies surrounding Barrack and Michelle Obama. The Big Book of Rogues and Villains, edited by Otto Penzler, is an anthology that lives up to its name. It includes a large number of mystery stories, from Victorian to modern and everything in-between, featuring rogues and villains. The Usual Santas, is an anthology produced by Soho Crime, and featuring many of its top-selling writers. And each story has an edge of Christmas about it. This issue also includes four of my book reviews. The Prague Sonata by Bradford Morrow, is a lyrical, idea-driven literary mystery that is longer than it should be, but is so beautiful it doesn’t really matter. 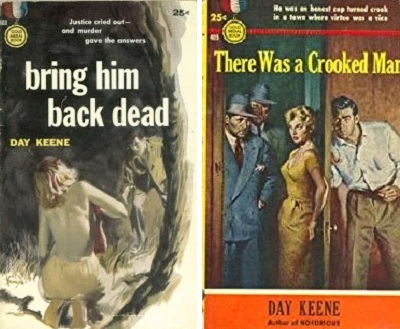 Murder in the Manuscript Room by Con Lehane, is a mystery loaded with working class realities and enough mystery to keep it interesting. Black Teeth by Zane Lovitt, is the modern (and Australian) take on the noir of yesteryear with a plot built from disappointment, fear and human frailty. 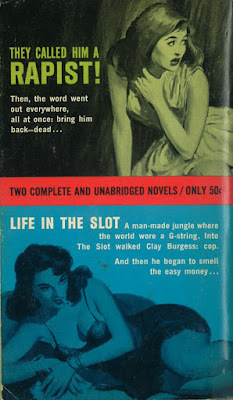 Signal Loss by Garry Disher, is the seventh Australian police procedural featuring Hal Challis and Ellen Destry. And it is a winner. I participated in something called My Life in Black and White on Facebook. It is seven days, one photo each day, of ordinary life without comment or people (in the photographs). I enjoyed thinking about the snapshots each day and decided to post my seven photographs here in a single post. Thrift Shop Book Covers: "Bring Him Back Dead" / "There was a Crooked Man"
Clay Burgess was a tough, smart cop. Thanks again, everyone. I appreciate your interest and support. Today marks the waning hours to enter the giveaway for one of two signed paperbacks of Blaze! Spanish Gold. The deadline is tonight, 11:59 PM MST. All you need to do to enter is send an email to zulu1611@yahoo.com with “BSG Giveaway” in the subject line. Your email will be used only for the giveaway. There are a few other ways you can get your name entered more than once, including following my Goodreads Author page and Gravetapping’s Facebook page. If you do either, or both, make sure you tell me in your email so I’ll know to enter your name in the drawing multiple times. For complete details on the contest you can go to the original post. The setting is Washington, D. C. of the late 2020s, and the story, while not political, is very much a political thriller. The political landscape is much like our own—non-cooperative partisanship as the parties splinter away from each other and the moderate middle—and acts as both antagonist and battlefield. The story is larger than a simple murder as suicide, and involves a shady cast of characters, including a billionaire, a Department of Defense contractor, and a nasty psychopath. 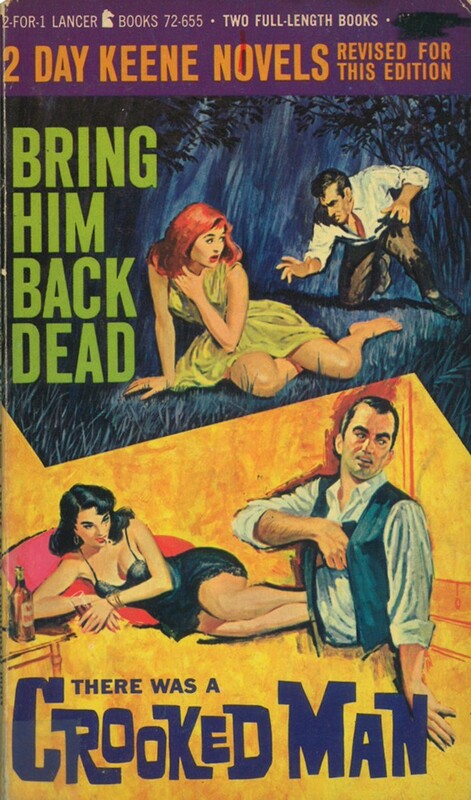 It is something of a mix between television’s Criminal Minds and a Robert Ludlum novel. But better than either because of its ability to surprise, and make the reader believe. This review originally appeared at Ed Gorman’s blog, in slightly different form, on November 17, 2015. My second Blaze! book, Spanish Gold, has been out for three weeks. The Halloween holiday is a memory, I have a handful of author copies, and so my always suspect logic tells me it’s time for a giveaway. This time around I have two signed trade paperbacks available for two very lucky readers (or unlucky, depending on perspective). 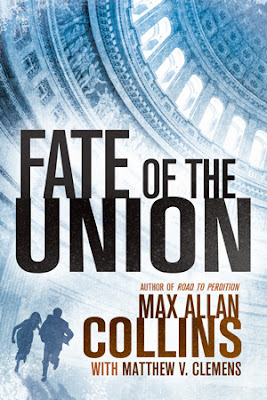 Or, if you prefer the Kindle version, I can make that happen, too. See below for how to enter and a few other details about the giveaway. The giveaway for the paperback version of Blaze! Spanish Gold is available only to those with a mailing address within the United States. If you want the Kindle version, all you need is an Amazon account. When you send your email make sure to note if you did any of the above things, other than sending the email since I'll catch that one, so I can enter your name in the drawing the appropriate number of times. If you win and enjoy Blaze! 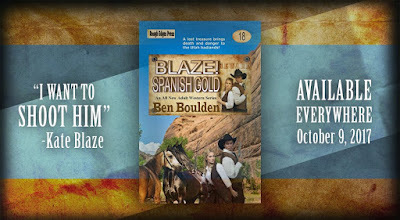 Spanish Gold, please consider writing a brief review at Amazon, B&N, Goodreads, Facebook, your blog, or anywhere else with exposure.